No need to repatch the System once done. 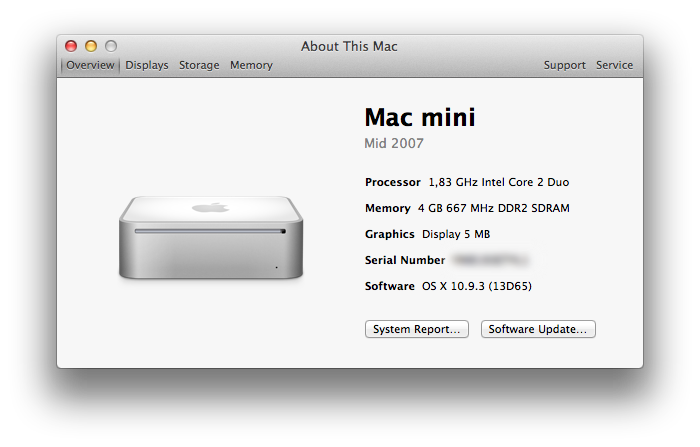 I’ve just downloaded and installed the 10.9.3 Update on my Guinea MacMini2,1 with no hassle. 2°) continues the install on a second step after reboot. I’ll test ASAP on the MacPro1,1 just to be sure, but that won’t be easy and I may be able to do test this only next week. Note: I’ve tested from 10.9.2 to 10.9.3. I’ll test from 10.9 and then Update to 10.9.3 if I can. If you download the Update via AppStore: working out of the box. If you download the Combo from Apple website. Beware as Alex, reported here he had trouble. further tests needed. Stick to the App Store Update 10.9.3 for know or wait a bit to get more infos. Pas besoin de Re-patcher le Système cette fois-ci. Je viens de télécharger et installer la mise à jour sur mon MacMini2,1 cobaye sans accroc. -1°) (téléchargement depuis le Mac App Store, puis) installation de l’étape 1 avant de redémarrer. -2°) suite de l’installation après le redémarrage et retour sur le système. Je testerai au plus vite sur le MacPro1,1 pour être sur, mais ce ne sera pas facile de le faire avant la semaine prochaine. note: J’ai fait la MàJ depuis 10.9.2 vers 10.9.3. Je testerai depuis une install 10.9 vers 10.9.3 si je le peux. Si la MàJ est téléchargée via l’App Store, elle se déroule sans problème . Attention, car Alex, nous fait part ici de problèmes. des Tests vont être nécessaires. Pour le moment préférez la MàJ via App Store ou ne la faites pas encore. +1 here for Macpro 1,1 appstore (‘software update’) from 10.9.2 to 10.9.3 – it works great. Huge thank you to all SFOTT contributers – your work is greatly appreciated. Thanks to report here Seth ! Strange… I had a Mac Pro 2,1 with 10.9.2 and I installed the standalone update from Apple’s site (NOT through the app store) and made the Mac unbootable (flashing folder with question mark). I restored the tiamo boot.efi and set startup disk which worked. So don’t download the update from Apple’s website! I’ll add it to the post directly and will test a fresh install 10.9 – 10.9.1 to Combo 10.9.3 to see if I too have the trouble ! Hope this helps someone avoid the hassle I went through! In reading further I believe my mistake was getting the combo update because it contains all the files from 10.9.1, 10.9.2 and 10.9.3 in one package, including the boot.efi from 10.9.2 update. Thus, it SHOULD in theory be fine to download the DELTA update from Apple, which only updates systems that are already on 10.9.2. Anyway thanks for your awesome SFOTT tool and your support! Yep that’s what I think too the combo has everything – including the 10.9.2 which needs to be repatched. I’ll detail a bit more the post and the troubleshooting this week-end. Works great. Thanxs a lot! The 10.9.3 update worked fine on my MacPro1,1. I installed this from the App Store and it worked great. Thanks again OEM for all your hard work and making this easier for most of us. thx to you Bill for bootcamp tricks. anyone tried to install 10.9.3 from scratch on MacPro 1,1 with Radeon X1900? I’ve gone thru 3 different USB sticks and every time a computer shuts down after showing Apple logo, 10-30 seconds into the boot. So far it seems that the graphic card only shows 6MB of RAM (see this comment http://oemden.com/?p=791#comment-329) I’d suspect the video card giving you issues. Also note that it has been successful on a MacPro2,1 so maybe it won’t work on a MacPro1,1 with this Radeon. I can’t be much help as it is not the graphic card on the Macpro1,1 I’m testing with. I’d go for a new Videocard, as I’d say this is the only reason I see that makes you unable to get it working. Works perfect. Thanks a lot for your great work! Thank for sharing ! Enjoy. Can i update from 10.9 to 10.9.3 via applestore without repatching anything¿?¿? Sorry For the late reply I really made a “big” Break. Nope you’ll have to repatch in quite any case if you’re not from 10.9.2 already. Even if from the Appstore, if you’re below 10.9.2, then you’ll have the combo update which includes the boot.efi to be wiped out. 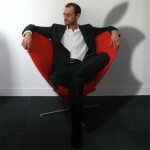 but as stated here : http://oemden.com/?p=1153#comment-562 simply repatch the System using 10.9.2 trick and you’ll be good to go. Remenber : be sure t o have a clone/ backup of your System and datas before doing so ! Désolé du délai de réponse, j’ai fait un gros break. Donc comme indiqué dans ce commentaire, http://oemden.com/?p=1153#comment-562, tu devras re-patcher si tu n’es pas déjà sur la 10.9.2.
en gros ce sera une combo update donc le boot.efi de Tiamo est remplacé. il faudra suivre la procédure de la 10.9.2 ici : http://oemden.com/?p=791. je ne vais pas dire que c’est “simple” mais ce n’est pas non plus trop compliqué, juste un peu fastidieux. bien penser à installer la dernière version de SFOTT pour avoir la dernière version sur la clé, si tu n’as qu’un seul ordi/ Système sous la main. Mac Pro 2,1 installed 10.9 with latest sfott 1.4.4, then updated straight to 10.9.3 from the App Store (this is the combo update if your system is only on 10.9), re-patched using the same instructions from the 10.9.2 update, everything is working great. Thanks for all your work! Now to try to install a gtx 760 in this old mac. thank to report that here ! you spare me a test I still did not do. When installing Mavericks on a Mac Pro 1.1 and then directly updating to 10.9.3 with the combined update, it was necessary to re-copy the boot.efi again afterwards, presumably because the combined update includes the one from 10.9.2. After that it seems to be fine. But I wonder if it actually needs some changes that were made, which were the reason for that update. Just to let people know I have been running 10.9.4 through the developer seed, on my Mac Pro 1,1 (flashed to 2,1) with absolutely no issues. Salut a tous , j’ai galeré pour installer averick et j’ai finallement abandonné..
Mais maintenant que j’ai re installé Snow leopard sur mon mac pro 1,1 j’ai de gros problemes de vidéo .. y’a une astuce pour revenir en arriere et regler le probleme ? merci par avance de votre aide . pareil donc navre du délai. Gros break. What are the steps in doing this please. some guidance would be greatly appreciated. Do I simply upgrade it via software upgrade as normal or do I have to do something else. Apologies for the very very long delay. If you allready have the 10.9.2 then upgrading to 10.9.3 or 10.9.4 should not require any re-patch procedure. I’m trying to upgrade my Mac 1.1 which has already been flashed to 2.1 with Mac Pro 2006-2007 Firmware Tool. I was able to download 10.9.2 (version: 1.3.40) 5.33GB from the app store weeks ago. I wonder if I need the original 10.9 to do this installation with SFOTT or can I just start with 10.9.2 straight away, so that I won’t need to patch again. In fact, I’ve already tested with this installer 10.9.2 as I thought it was the original 10.9. As as result, I couldn’t see any boot screen (just blank black screen) after booting up while holding Option Key. However, it would take me to a normal login if i click Enter. I tried with two different Graphics card Radeon ATI 5770 and nVidia 8800GT but no difference. I don’t what went wrong. Btw, does the OSX Installer need to be in the application folder or on the desktop while creating the Key? From what I read I would say you video cards may be faulty. Please take a look at here where I have compiled comments on machine and specific hardware reported to be working. You’ll have more infos, I don’t remember each settings known to work. I’m running 10.9.1 on a Mac Pro 1.1 and would like to update to 10.9.4. From the comments above I will have to repatch the boot.efi because of 10.9.2. Could someone point me in the right direction of a step by step guide of whats exactly involved? Now, short answer : yes you’ll have to repatch – once. either if you go to 10.9.2 or if you go to 10.9.3 (and don’t have yet 10.9.2) or if you go to 10.9.4 (and don’t have yet 10.9.2). 1 Pings/Trackbacks for "10.9.3 Update and SFOTT | All smooth but BEWARE"